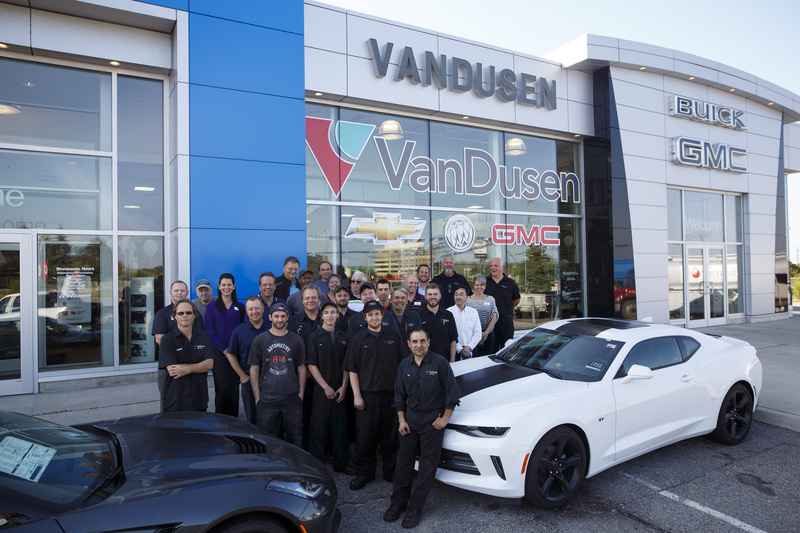 Winning the Ajax-Pickering Board of Trade’s 2015 Business Excellence Award for Businesses with 50 plus employees has given VANDUSEN CHEVROLET BUICK GMC enviable and hard-earned bragging rights. Quite a feat in its own right, the win is even more remarkable considering Jim VanDusen opened his dealership just a year earlier, taking over the former Bob Myers Chevrolet Buick GMC dealership. The dealership has blossomed under the entrepreneur’s leadership and not just because of a winning lineup that includes the Chevrolet Silverado, GMC Sierra, GMC Terrain, Chevrolet Equinox and the Chevrolet Cruze. VanDusen’s secrets to success? Culture, community, customer enthusiasm and performance – the Four Pillars upon which he built his dealership. If the Four Pillars Philosophy sounds unique, that’s because it is. You won’t find it in any book or research document – it belongs to VANDUSEN and its affiliate auto group, NewRoads, though it’s transferrable to any organization. 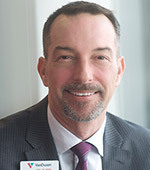 “Implementation of the Four Pillars has been our competitive advantage, providing an edge against more mature dealerships in this fiercely competitive industry,” VanDusen explains. Culture: Great employee culture is defined by being a respectful, safe, discriminationfree, supportive, encouraging of open and direct communication, and an energetic and super fun place to work. “Our aim is to have employees want to get out of bed and excited to come to work. When culture is by design and employees are positive and empowered, their productivity increases by at least 10 per cent,” VanDusen reports, pointing to a Harvard Business School Survey and the dealership’s own results. Community: VANDUSEN believes a great community comes from strong community involvement, interaction and support from government, local charities and volunteers, as well as private businesses. “We all thrive and gain from a strong local community,” the entrepreneur says. The dealership that bears his name walks the talk. Through its annual VanDusen Charity Car Show and Family Fun Event, it has raised more than $20,000 over four years in support of Big Brothers Big Sisters of South-West Durham. It’s the Official sponsor of the Town of Ajax Volunteers Appreciation Event and supports the Ajax Pickering Hospital Foundation, Girls Inc. of Durham Region, Sick Kids Hospital, Durham Caribbean Festival and many other organizations. Performance: VANDUSEN sets the bar high. Its goal: to be best in class in everything it does. In its owner’s words: “to create the extraordinary.” In addition to the initiatives above, the dealership invests in innovative technologies, and trains and retrains its team. “To this we add high expectations and dedicated work ethic, lead our team through action plans, goal setting and strong visions of greatness,” says VanDusen.